1. Chaos behind the scenes at Tesla-Panasonic Gigafactory. Reports of contamination, oil spills and cover ups are coming out of Panasonic’s battery making operation that supplies Tesla cars. Over 3 million batteries are sent to Tesla every day. Former and current staff have come forward with some concerning insider stories. Read our full investigation here. 2. Keep an eye on Chinese reports. The Aussie is likely to be affected by a series of data that will be released out of China around midday (AEST). The AUD took a hit after the release of the RBA’s monetary policy meeting minutes – driven by uncertainty around rate cuts. 3. Notre Dame’s phoenix investors. Several companies and private high net worths have come forward to help rebuild Notre Dame from the ashes. Around US$728 million has so far. The long-warring heads of France’s luxury goods houses, LVMH and Kering, are allegedly trying to outdo each other in generous donations. 4. Australia: Room for improvement. The scorecard has been released and Australia is doing “okay”. The Grattan Institute has released their Commonwealth Orange Book 2019 report on Australia’s international ranking in key policy areas. In particular, we’re losing trust in government, our ability to keep our country clean and our investment in social issues like affordable housing, schools and homelessness. Check out the report here. 5. You might have been better off renting. A new report from EY suggests that property owners aren’t the big winners of the last decade. According to the study, more than 62% of buyers would have been better off investing their deposit in a leveraged ASX200 fund and renting in the same area. “It’s also about financial literacy. People buy property because they can understand it,” said EY’s Sydney managing partner Andrew Price. 6. Going up? BlackRock’s CEO Larry Fink seems to think so. The head of $US6.5 trillion asset manager is optimistic about the markets given the Federal Reserve’s conservative stance on rate hikes. “I would clearly tell you at this moment, most investors are exposed by being underinvested at this time,” Fink said. 7. Sneaking around. It’s the multi-billion dollar industry that’s often overlooked, but sneaker resale (yes, that’s right) is expected to hit more than $6 billion by 2025. Rare sneakers can be resold for US$50,000. We’ve compiled a list of the most expensive on market. 8. Beautiful! 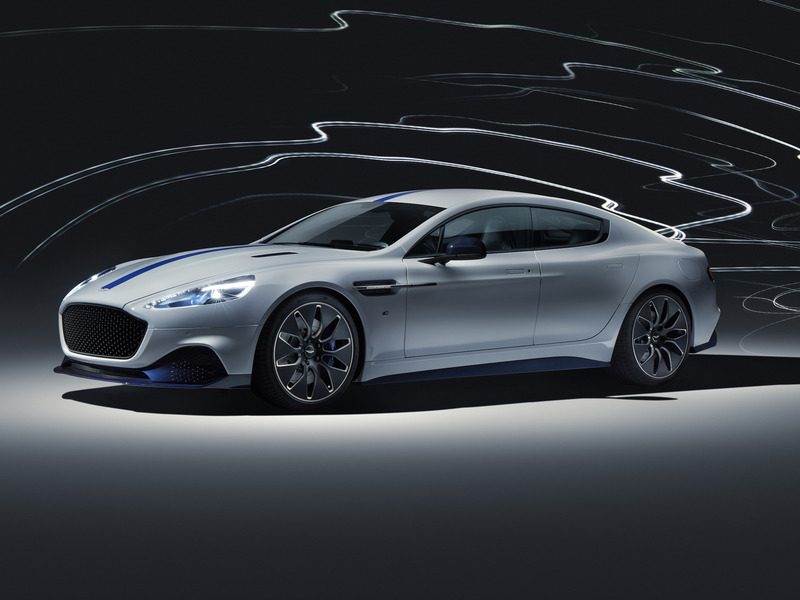 Aston Martin’s first electric vehicle, the Rapide E, was revealed at the Shanghai auto show. The EV will have over 300kms of range and the ability to charge at a rate of nearly 500km of range per hour with an 800-volt charger. 9. Want career advice? Ask Priyanka. Priyanka Chopra Jonas isn’t just a global movie star, she’s also out promoting her partnership with Bumble Bizz, a networking app and has started a not for profit organisation to promote health and education. This is on top of her role as a UNICEF Goodwill Ambassador and UN spokesperson for Girl Up. If you want career advice, here’s someone who can talk about creating opportunity. “People put too much pressure on one opportunity. You have to create various opportunities for yourself,” Chopra said. 10. Ahh, fear. The great business driver. Afterpay is making bank on millennials aversion to credit card debt with sights set on their big US expansion. Their expansion in the US will be looking to onboard customers in a market where millennials have increased debt by 22% in five years, according to the Fed Reserve. BONUS ITEM: Boston Dynamics created this video about the pulling power of their new robotics. Formidable. Okay, so, the technology is incredible but if the future is goosestepping robo-dogs I’m not looking forward to it.